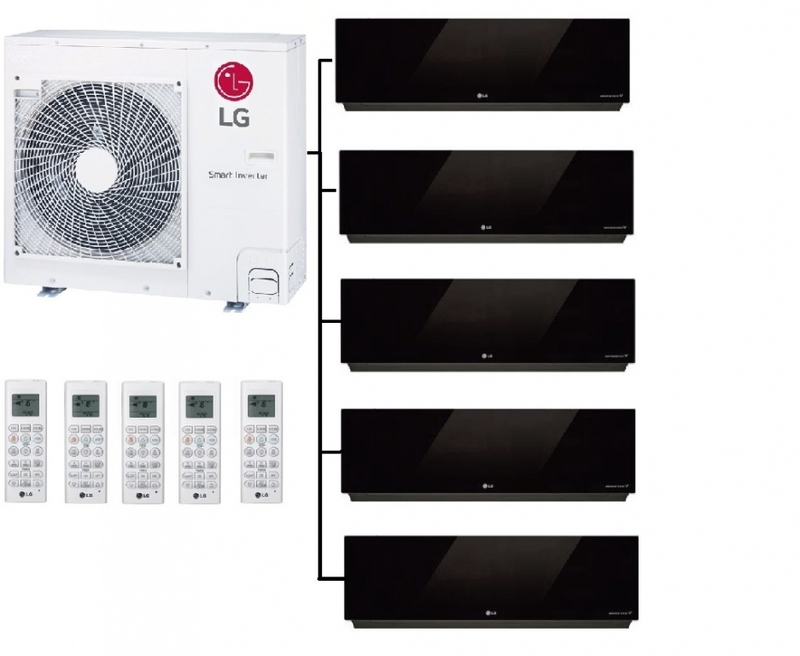 These are great systems for cooling and heating rooms such as bedrooms and features the LG MU5R30.U44 outdoor unit with the latest environmentally friendly R32 refrigerant. 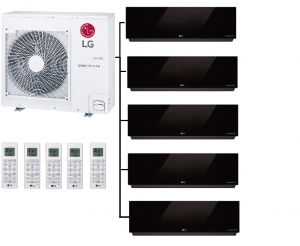 The price includes the outdoor unit and five LG mirror indoor wall mounted units plus remote controllers for each individual unit. The Arcool mirror indoor units have features such as advanced air filtration and built in wi-fi so the system can be controlled remotely via the LG app if required, via a smartphone.